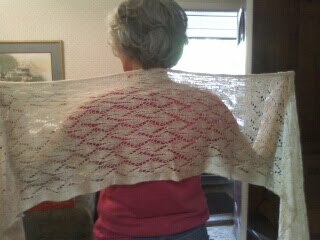 My friend Jill's shawl is finished. I finished it on my quick trip to Atlanta. I had 15 hours to work on it. 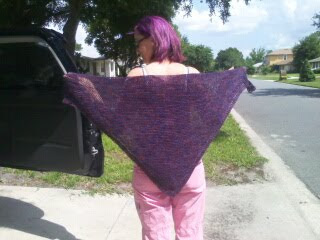 This was an easy garter stitch triangle shawl. 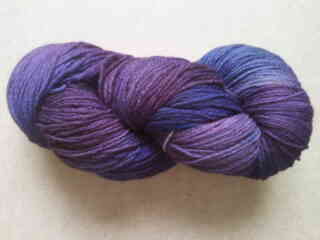 This was the yarn I got from Storied Yarn I love the colors. I hope this shawl brings her comfort. I love you Jill. I got these beautiful yarns at Storied Yarns Etsy Shop! I cant't wait to knit them! I must make another one I want one too! 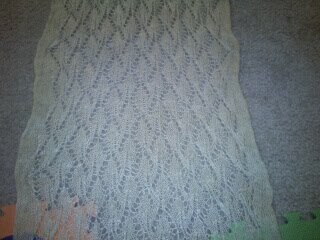 I enjoyed knitting this shawl. I love you Mom, Happy Mother's Day! 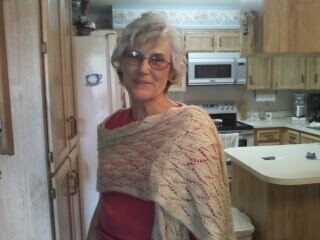 My Mother's Shawl Is Home! 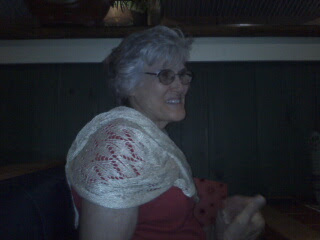 The Shawl finally has a home!We had dinner at Chillies and gave it to her. 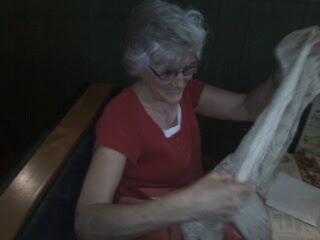 All I had was my camera phone to take a picture, so I'll have to get a better pic from my mom. She has a good camera. She loved it. So did the waitress. It made me cry. I can't believe how long it takes to make these types of shawls! I can't wait to make one for me. Almost finished! It is waiting to dry! Ahh sweet bliss. If you look at the falling leaves pattern on Ravelry, you can see that this shawl looks a little bit different.I thought I would add 10 knit st at beg and end. Something happend. Well either I added a stitch or something, but these leaves really look like they are falling. I think it is a neat looking mistake. I love it! I can't wait to give it to my Mom! The wand actually chose me!!! 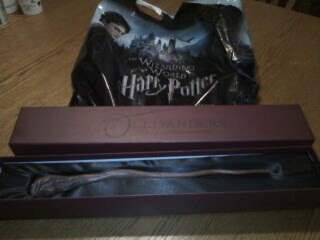 It was the first one I picked up to take a look at them, then I went over to ask which wand is mine she told Barry which one it was and it was the first wand I picked up. Amazing!! Maybe I could get two wands and knit with them! Soon this area will be open! Can you guess where this is? They had Butter Beer, and Hog's Head brew which was like a Scottish Ale. I can't wait to take more pictures to show you! 100th Post and Contest!!!! 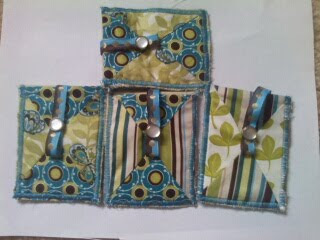 Projects Complete! !